The Protein Skimmers made of PE & PP bodies come ready with Venturi pumps, automated protein foam level control, skimmer cap sludge autowash, control panel & ozone/oxygen intake. 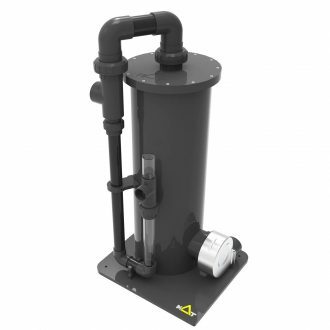 MAT protein fractionators produce thick sludge foam without the need of daily fine tuning. Comes readily installed and hydrotested for fast and hassle free installation. 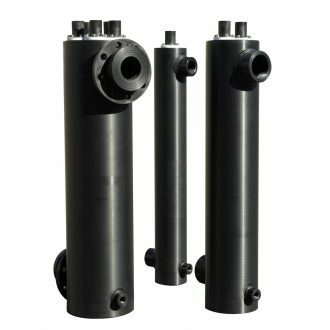 MAT Protein Fractionators are used to provide an efficient means of floatable and dissolved solids control, by removing mechanically, fine and dissolved organics from water. Additionally, through the fractionation process, MAT PSK infuses oxygen and ozone that minimize bacteria and microorganisms concentration in Recirculated Aquaculture Systems (RAS). 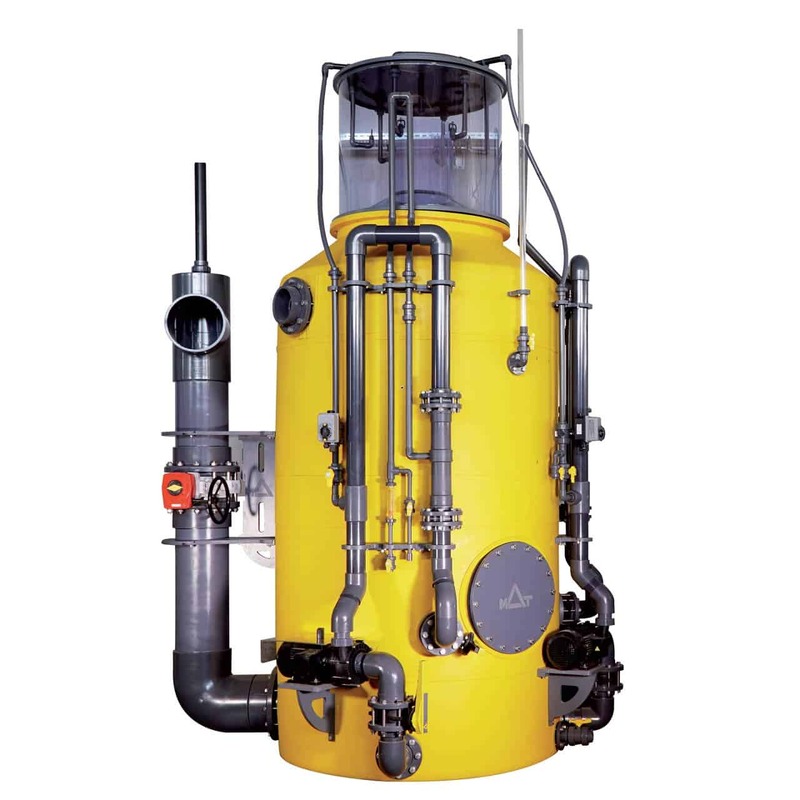 Our Protein Fractionators are core mechanical units in the Recirculated Aquaculture Systems and are complementary to other mechanical filtration means pressurized sand filters, paper filters, algae scrappers, cartridge filters, drum filters. 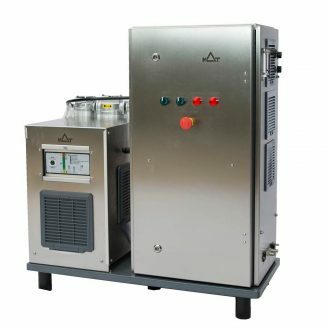 The operation of the protein skimmers is based on the centrifugal mechanical removal of organic compounds, with the infusion of oxygen and ozone through a venturi pump. MAT PSK operation is optimized through ozonated air which is injected into the treated water, as a stream of fine bubbles, by a low-pressure venturi set. As the bubbles rise up through the water column, liquids with different viscosity proteins and other surface-active compounds coagulate to each other and build up a thick organic foam. The organic coat/ bio sludge is clogged in fine bubbles as they rise up through the water column. This foam is removed from the protein skimmer through the effluent pipe and is discharged to the sewer or the backwash treatment. An important secondary effect of protein fractionation is the removal of fine particulate material ( < 40 micron ) that builds up the foam. 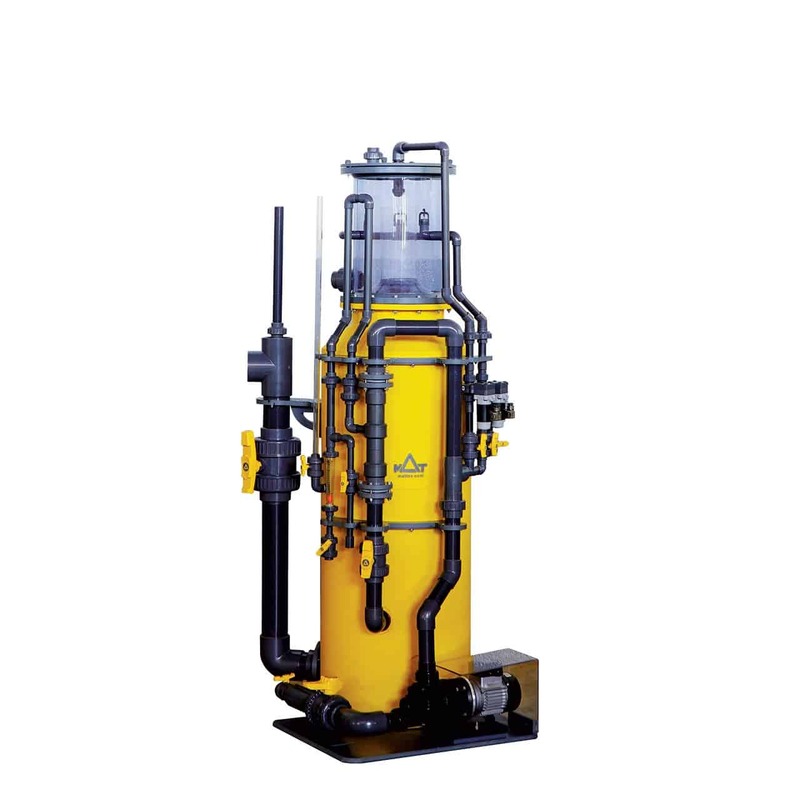 Equipment design is focused on simplicity and user-friendly operation. Our Protein Fractionator filtration units remove mechanically about 90% of the dissolved organics, proteins, fish food remains and tints from the water column. Removal of fine particulate material ( < 40 micron ) that attaches to the foam. 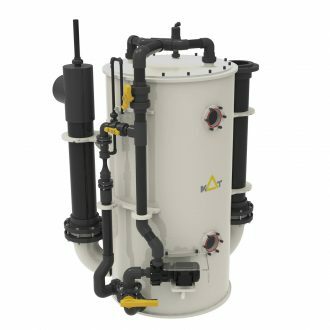 Reduced load imposed on the pressure sand filters, allows a higher filtration velocity through them. Maximize oxygen saturation in the water while it mixes and dissolves oxygen and ozone. Control and monitoring of ozone dosing by ORP probe as part of the water quality monitoring package. 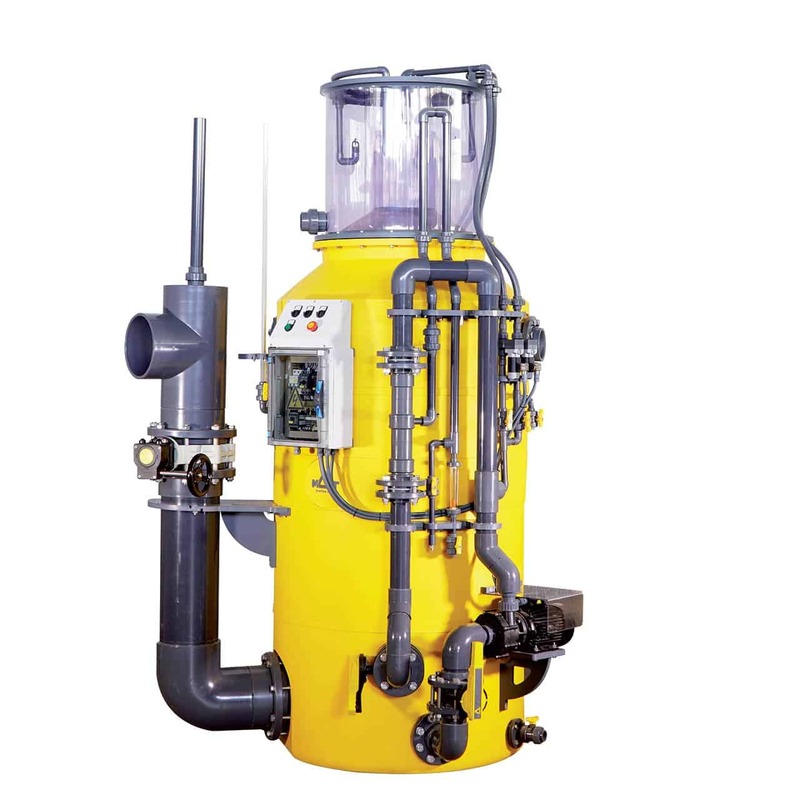 Auto-wash system for inner and for outer tube. Easy foam level fine tuning. Our models are available in custom sizes.